Kulapat Yantrasast is an award-winning architect who is steadily making his mark around the globe. 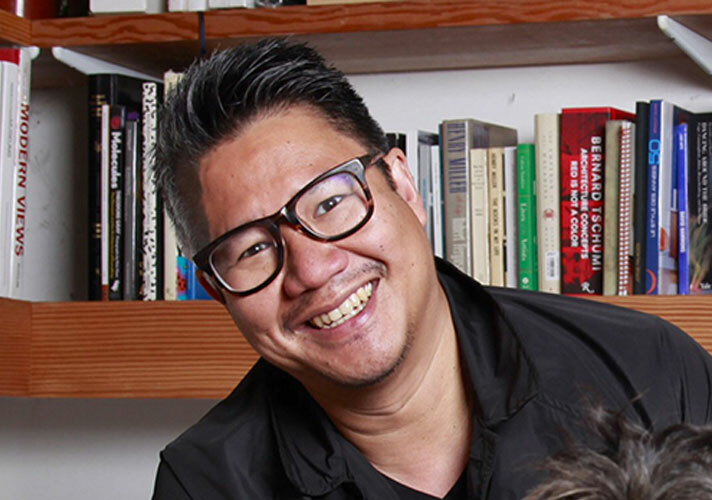 Since founding wHY in 2004, his accomplishments include designing the first LEED certified art museum in the world (2008); being the first architect to receive the Silpathorn Award for Design from Thailand’s Ministry of Culture (2009); being recognized as one of the 100 Most Powerful People in the Art World by Art+Auction (2012); and being named one of the US’ top emerging architects by Architectural Review (2015). Kulapat’s unique approach to architecture and design is largely shaped and inspired by viewing each project as a mix of ingredients that yields its own unique recipe. With offices in Los Angeles and New York, wHY’s diverse works in the United States include the Grand Rapids Art Museum in Michigan, Speed Art Museum in Kentucky, Sky Landing with Yoko Ono and the Jackson Park Master Plan in Illinois, A Garden Within Reach at Tower Hill Botanic Garden and Worcester Art Museum Master Plan in Massachusetts, and numerous projects in California, including Venice Beach House, Marciano Art Foundation, Bell Residence, Kordansky Gallery and the new Institute for Contemporary Art Los Angeles. Internationally, wHY has recently completed two 8,000 square foot residences in Thailand, and is currently working on a museum project in the Middle East.